* Apples can aid in weight loss and fight obesity. 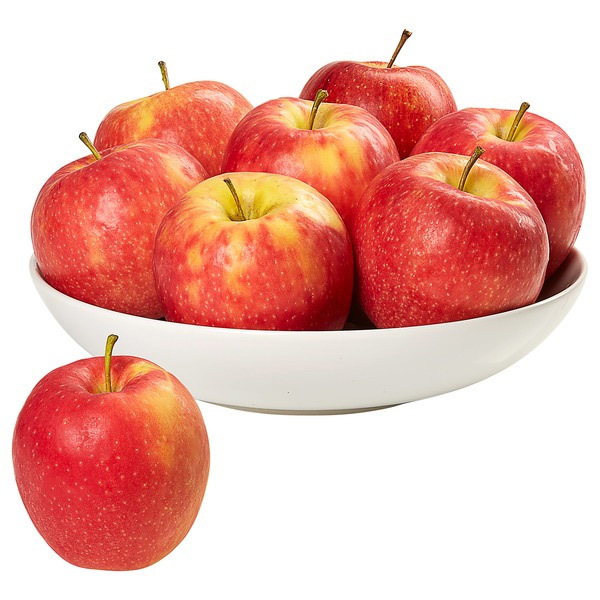 Apples are naturally free of fat, cholesterol, and sodium and a low calorie, yet nutrient dense food. The portability and year-round availability of apples make them a great choice for a nutritious daily snack. 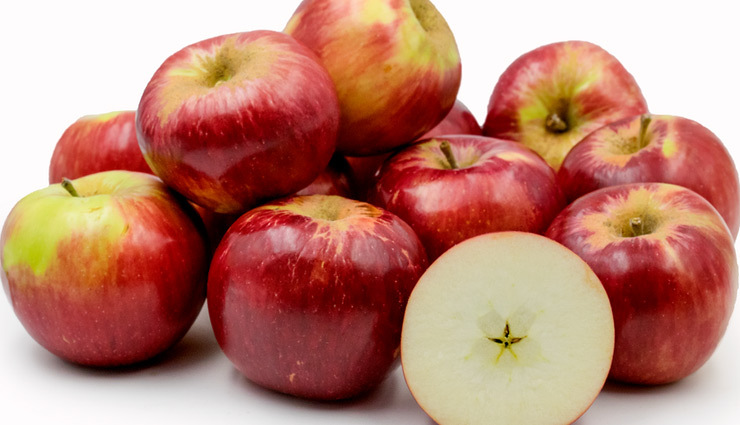 Apples are a great source of dietary fibre – with 5 gms in one medium-size fruit. The type of fibre found in apples is soluble fibre, which can help people feel fuller, longer. Adding to the obesity-fighting powers of apples is a recent study from Washington State University researchers that linked eating apples to the prevention of disorders associated with obesity. The non-digestible compounds (fibre, polyphenols) and low carbohydrates in apples remain intact when they reach the colon, where they are fermented by bacteria, which then benefits the growth of good bacteria in the gut. Researchers believe the discovery could help prevent some obesity disorders, including low-grade, chronic inflammation that can lead to diabetes. * Apples are brain boosters. Apples contain a powerful antioxidant, called quercetin, that Cornell University researchers found to protect brain cells from oxidation. Quercetin is believed to block free radicals from damaging brain cells, as well as other types of cells. The skin of the apple contains most of its quercetin so it’s important to eat the entire apple to reap its brain-boosting benefits. Other studies have linked apples to reducing memory loss and the onset of neurodegenerative diseases like Alzheimer’s and Parkinson’s. * Apples are good for the heart. The antioxidant powers of apples also benefit the heart. People who eat an apple a day for 4 weeks can lower blood levels of LDL (bad cholesterol) by as much as 40% in comparison to those who did not. The fibre and vitamin C found in apples also helps protect the heart. * Apples may lower your risk of developing type 2 diabetes. People who eat at least two servings each week of certain fruits (apples, blueberries, and grapes) could significantly lower their risk of developing type 2 diabetes. * Apples are good for maintaining healthy skin and bones. Apples are a good source of vitamin C (one medium apple has 14% of the recommended daily vitamin C value) and also contain vitamin B. Both of these essential vitamins promote skin health by speeding up skin cell production and fighting acne and skin irritation. Granny Smith and Red Delicious apples might be extra protective for the skin because they contain high levels of collagen and elastin. Apples also protect the bones thanks to phloridzin, a flavonoid that can protect post-menopausal women from osteoporosis, and bone-protecting boron.